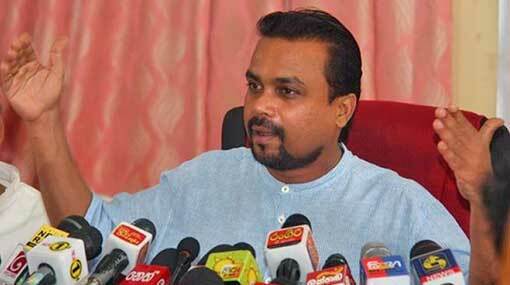 MP Wimal Weerawansa says that there is a plan to remove the Navy camp in Galle from its current location. According to him, the relevant land will too be given to India, once the camp is removed from there. India isn’t buying the Mattala International Airport based on commercial purposes, but to own the control of the Mattala Airport, said Weerawansa. India has nearly 29 airports and if 18 of them fall within the same periphery as the Mattala Airport, there is no commercial value of it for India, he pointed out. This is only a plan to own 70% of the Mattala Airport forever, he further stated at the press conference held in Colombo, yesterday (23).